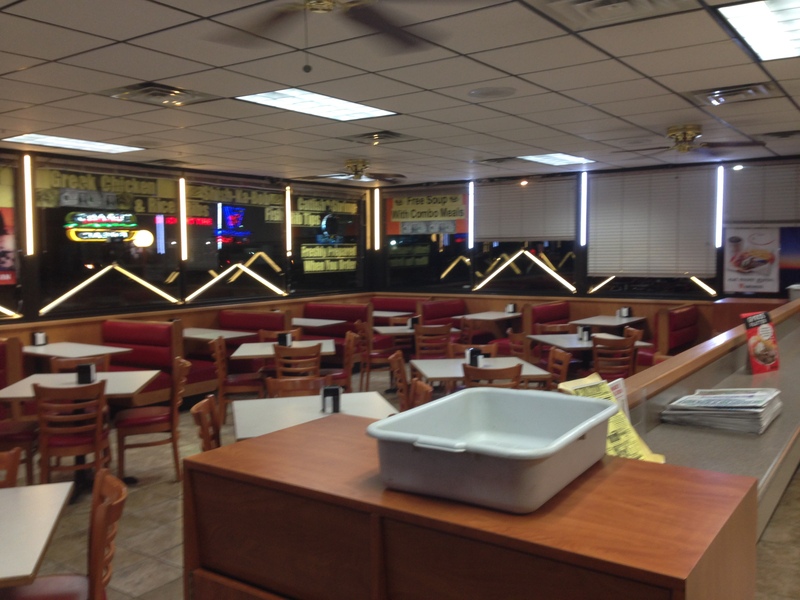 Everyone needs a no-frills diner. 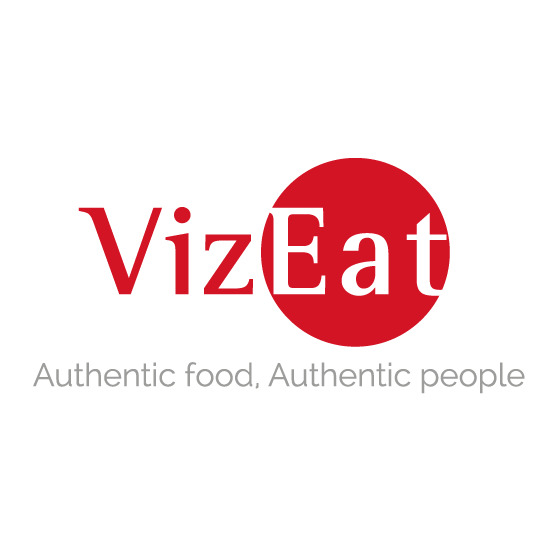 A place where you can go to get food that may not be the best for you or might not look the prettiest, but you know it will always make you feel good. This type of culinary sanctuary is as varied as an individual’s palate, mood, and perhaps even time of day. 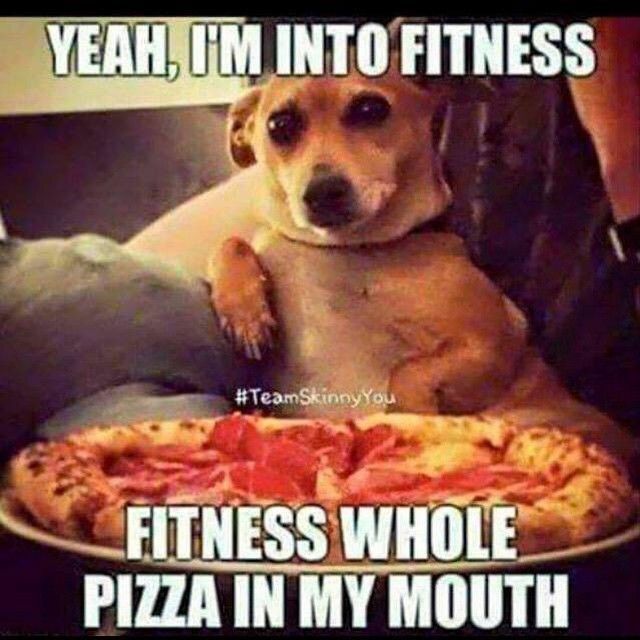 Let’s be real, late night eats are never the healthiest in the world, but there’s nothing like being a little naughty when the sun goes down. This is where Margie’s Restaurant comes in. 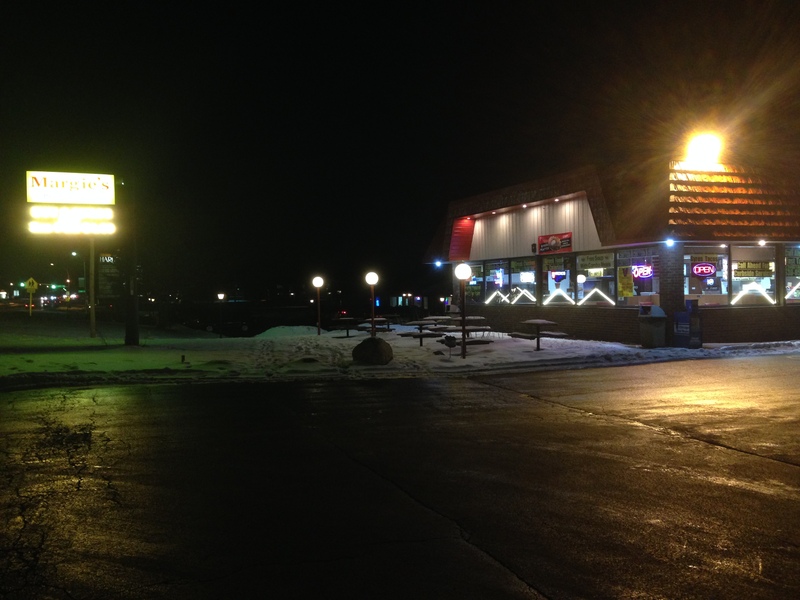 It was a cold and dark night like any old Midwestern winter night, and Janice was craving a milkshake and some fries. Instead of just going to the local McDonald’s, I suggested we try a local favorite that I’ve always seen but never visited. Margie’s is not much from the outside or inside. 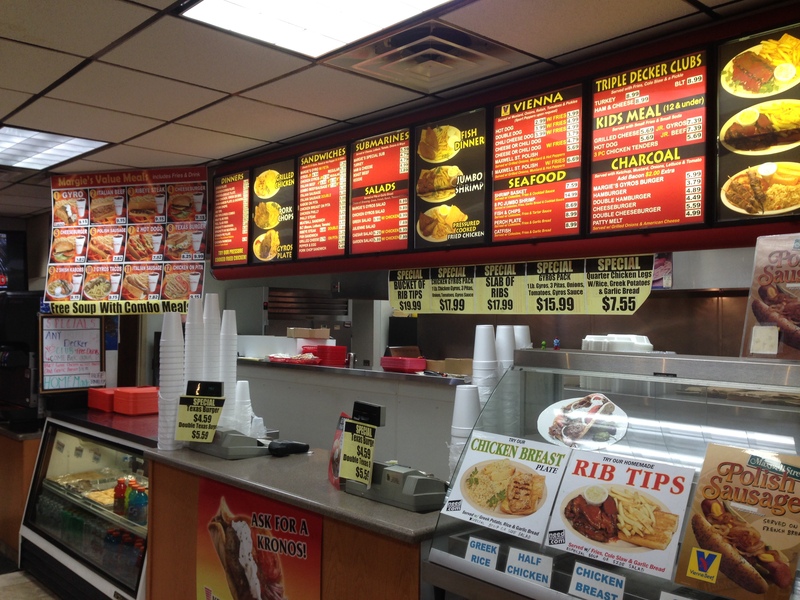 It’s just a local fast food joint that serves really basic food for reasonably prices in large portions like your standard hamburgers and hotdogs or Chicago classics like homemade Italian beef sandwiches. While I do love all of those, I had a particularly greasy favorite in mind when I went to order. The gyro (plural: gyros) has become a staple of American fast food cuisine compliments of Greek immigrants who brought it here and made it popular in their diners across the nation. It probably became popular with Americans due to the fact that you can eat it on the go even though I wouldn’t recommend it since they can be pretty jam packed with ingredients. The name is also a point of contention as you might hear “jai-ro”, “jeer-oh”, or “yee-ro”, but the closest pronunciation is the last one. 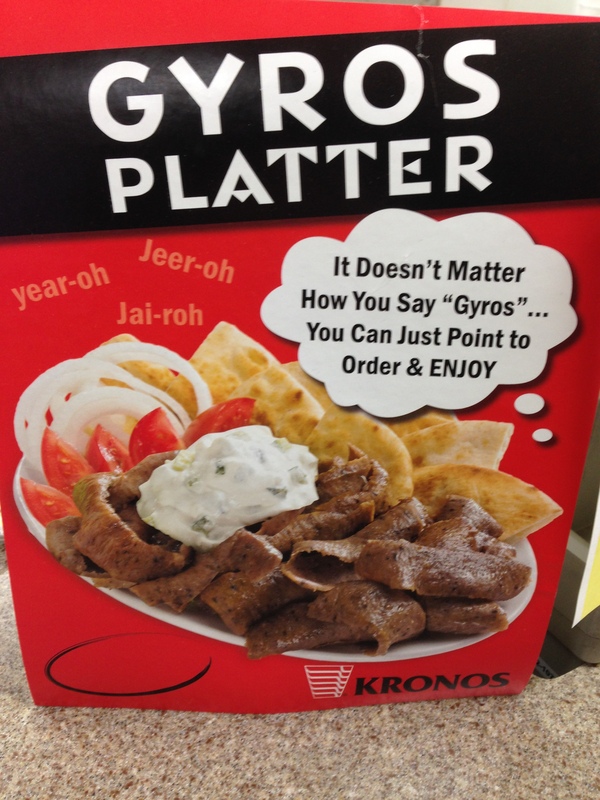 The word “gyro” comes from the word for “turn” which replaced the Turkish term “doner” which means the same thing. The turn part comes from the fact that the gyro meat is roasted vertically and sliced off in thin strips with a long knife or shaver. This technique was invented in the 19th Century in Turkey, but the Greeks will tell you otherwise. 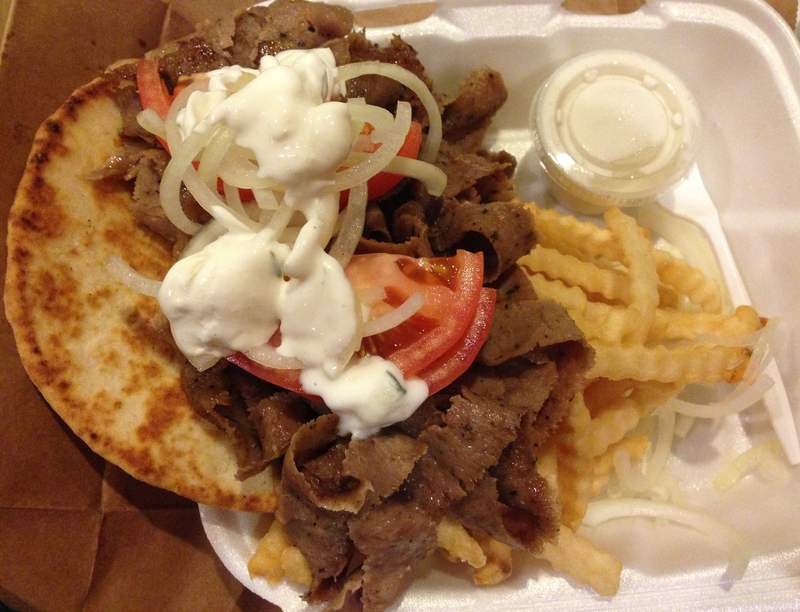 Your typical gyro consists of a pita flatbread that is filled with spiced lamb, tomatoes, onions, and tzatziki sauce. However, there are alternatives out there; the most common variant I’ve seen is with chicken instead of lamb. I always keep it traditional because I love the spice and flavor of lamb that the Eastern Mediterranean nations do so well. Margie’s had a gyro special where I could get a plate of the Greek classic with a side of fries for 5 bucks. Naturally, I jumped at the chance. The service was brisk given I went on a random weeknight, and it was freezing outside. The food came out quickly and wrapped up very nicely. When I got home, Janice definitely enjoyed her meal, and when I opened up my bag, I didn’t know where to start. 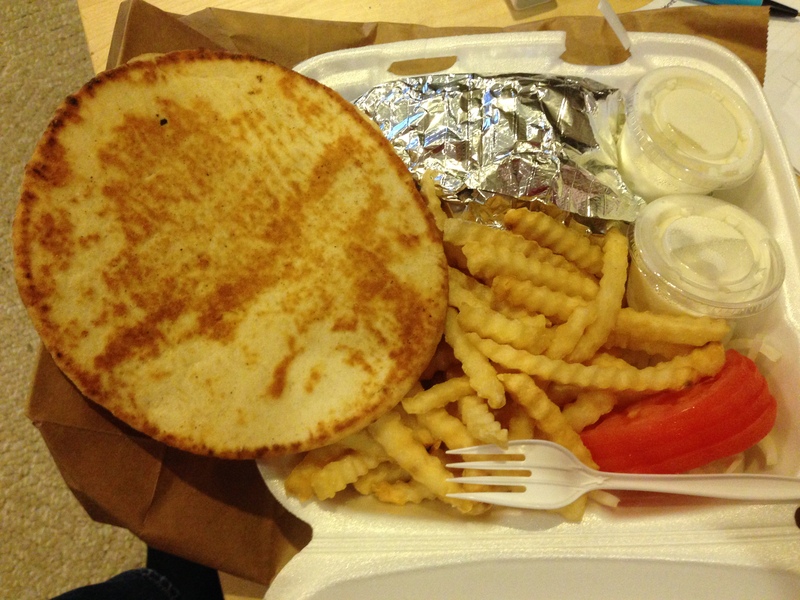 A huge pita was lain over a facefull of fries, tomatoes, and onions along with two tubs of tzatziki sauce. Basically, I had to be the mad scientist to put this monstrosity together, and luckily I had the skill and mettle to do just that. Once I combined everything like a boss, I got down to the business. The typical problem that I mentioned before is that the meat is oftentimes quite greasy, so you run the risk of having your clothes ruined by the gyro’s juices hopping a ride on your pants and or shirt. Margie’s gyro, on the other hand, was not greasy at all, and the pita held up quite well to my ravenous choppers tearing through my meal. The tomatoes were fresh and onions plentiful, and the tzatziki was cool and tangy like any good yogurt based sauce should be with hints of cucumbers. As for the French fries, they were of the crinkle cut variety, and they were fried to perfection. I wasn’t able to finish the golden stack of potato sticks due to the filling nature of the gyro, but I highly recommend this special or any of the other specials. You’ll get your money’s worth, that is for certain. So if you’re ever out in the western Chicagoland suburbs and need to get a ton of food for not a ton of money, check out Margie’s Restaurant!